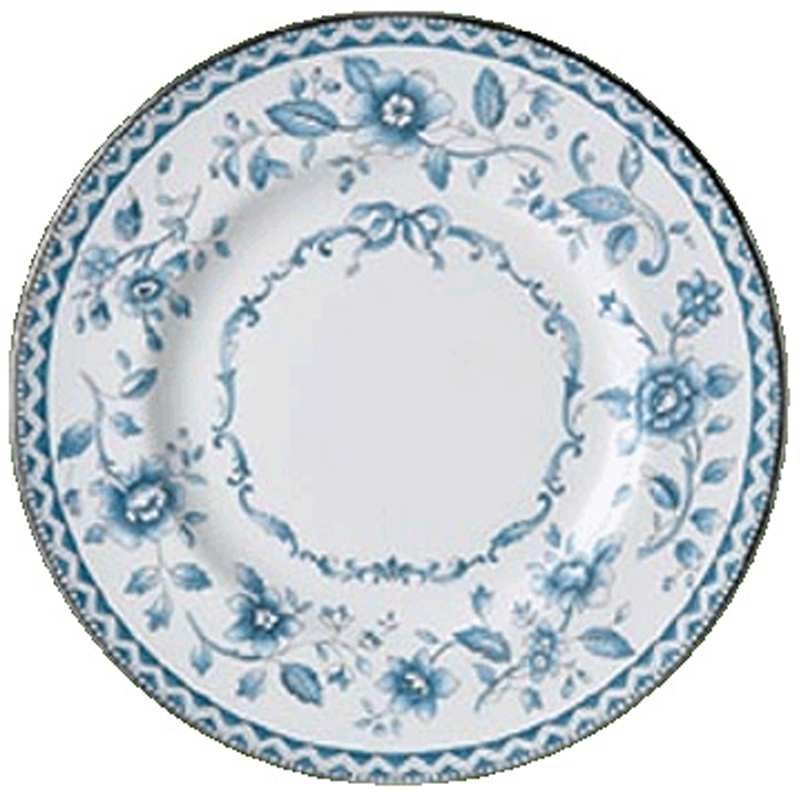 The Royal Doulton Josephine pattern was in production 2000 to 2004 and has since being discontinued. We do still have brand new replacement 20cm plates available in the Josephine Platinum design for any breakages or where you still wish to expand your collection. 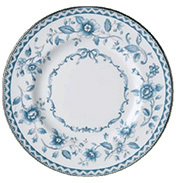 This particular plate is classed as an accent plate as the pattern is across the full face of the plate, rather than being limited to the outer edge. 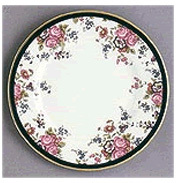 It is best used as a starter, salad or dessert plate. 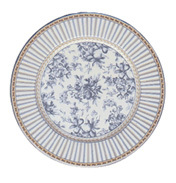 The Josephine design is very pretty, with a ring of delicate blue flowers, surrounding an inner bow garland also in blue. The plate edge having a blue patterned banding together with the platinum edge. 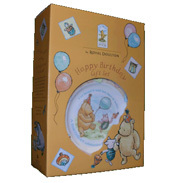 Now on special offer, buy these replacement plates whilst you still can. Great to fill any gaps left by mishaps!